This week I had zero food in my house, so I decided to get a good healthy lunch one day and ended up at b.good. I’ve been to this restaurant a couple times before, but for some reason I feel like no one ever really talks about it. The motto for b.good is “Real Food Fast”, making them one of the few “fast food” restaurants with a menu full of healthy options. They also offer seasonal menu options to change it up a bit. 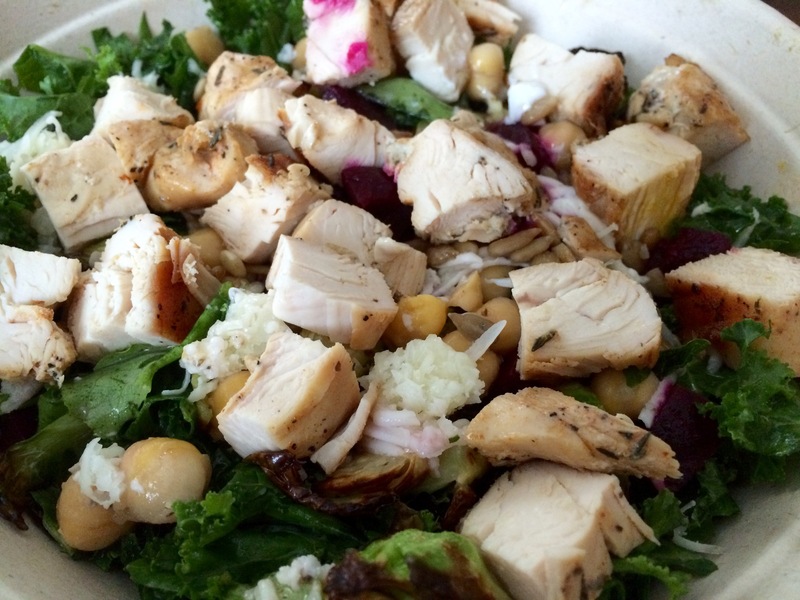 This day I got the Harvest Kale Salad, which has kale, brussel sprouts, manchego cheese, sunflower seeds, beets, chickpeas, and a sherry vinaigrette. I also opted to add grilled chicken and an egg. It was sooo good! I’ve been obsessed with beets lately and I love brussel sprouts always so I figured it would be a good choice. 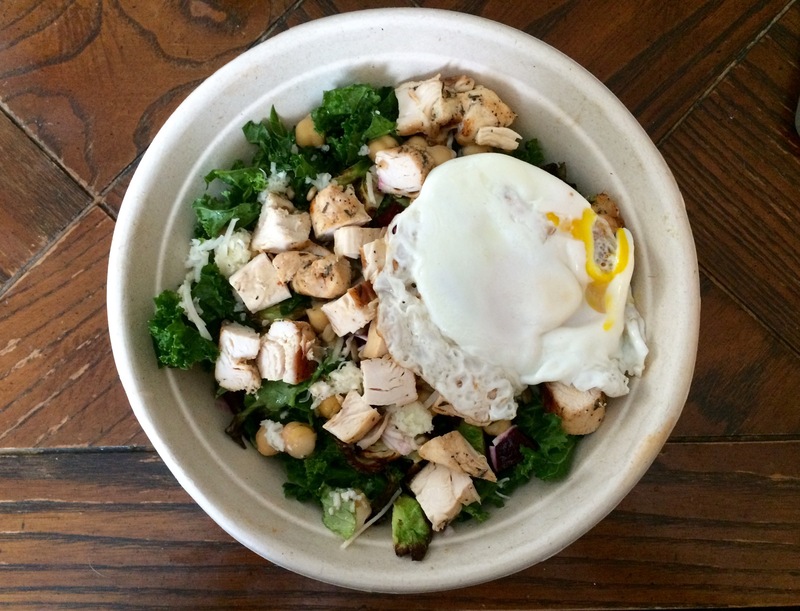 I’ve also gotten two of the Kale and Quinoa bowls, which are also really healthy options. For a “fast food” restaurant they are a little pricey… my salad was about $11… but the portions are huge. Of the three times I’ve been I was never able to eat the whole meal, I easily saved half for lunch the next day. In addition to the many salads they offer, they also have more traditional fast food options like burgers, turkey burgers, fries, and milkshakes. But everything says it is locally-raised and they have plenty of gluten free options as well. In the end I think this is a really great place to go for a healthy meal at a reasonable price. They also have online ordering, which makes it even more convenient. Have you guys been to b.good? Let me know what you think!